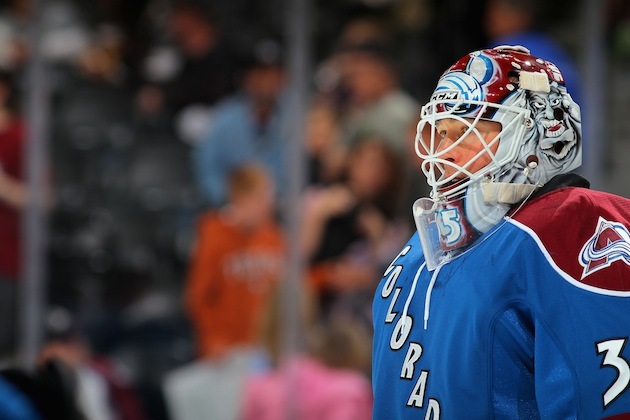 Things have not gone the Colorado Avalanche's way this year. With nine games left in their season, they sit on 29 points, dead last in the NHL. They've lost five in a row and nine of 10. The disaster that is this season has already been mentioned by goaltender Jean-Sebastien Giguere. After a 5-2 loss to the Dallas Stars on March 23, Giguere questioned the team's effort, even predicting a poor performance after a practice he thought lacked desperation. After Colorado dropped their fifth in a row with a 3-1 loss to the Calgary Flames on Monday night, Giguere sounded off again. With his growing frustration reaching an apex, he called out his teammates, who he believes are already looking forward to their postseason plans. When asked if it was a of lack of talent or a problem with attitude, the response was simple. “It’s not talent,” said Giguere. The first step in distancing themselves from the "losing mentality" is canning Joe Sacco and bringing in a new voice behind the bench. For Giguere to criticize the effort in practice and then the team's focus two weeks later is a sign that Sacco has been tuned out and it's time to go. GM Greg Sherman may be on the hot seat as well -- let's not forget about the Ryan O'Reilly saga -- and as the saying goes you can't fire the players, though it's evident some shipping in and out needs to be done with the roster. And with veteran Milan Hejduk's future still unknown, that could be a big veteran presence leaving a locker room that sorely needs it. It's not looking good in Colorado right now, but O'Reilly, Matt Duchene and Gabriel Landeskog are three good pieces to build around. They're among the "talent" Giguere was referring to. But all the talent in the world won't ensure success. #SuckForSeth is all that's left for the Avs and their fans.